‘Samba’, the most popular Brazilian music genre, has European and African origins, but it has taken over the country with black culture symbols. The word was first mentioned in 1838 in a newspaper of Pernambuco called “O Capuceiro”. In Rio de Janeiro, the word ‘samba’ appears only in the late twentieth century, always linked with rural feasts, the black community and Bahia. This music genre started taking shape with urban characteristics and percussion instruments, and now it has been consolidated as the main music style of Rio de Janeiro. The expansion of samba took place thanks to two aspects: the newly-launched radio and the encouraging to the carnival by schools of the time. In the 1940’s, the rhythm became a Brazilian symbol and earned status and international fame. Nowadays, the world sees Brazil as the birthplace of Carnival. The word ‘samba’ has created solid roots and, as a result, a lot of etymological branching, such as samba-choro, samba de terreiro, samba-enredo, samba de gafieira, samba-rock, etc. The first composers have built a cultural legacy. Some of them are: Jozé Luiz de Moraes, o Caninha, Heitor dos Prazeres, João da Baiana, Pixinguinha e Donga. 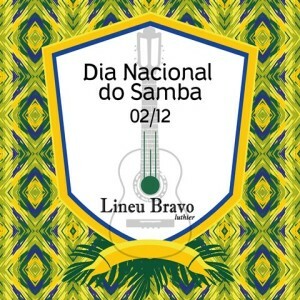 The Samba National Day is celebrated on December 2nd and was created to honor Ary Barroso. 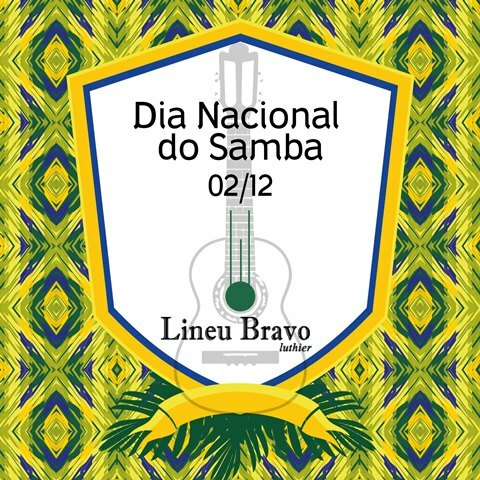 Firstly, the date was celebrated only in Bahia, but it turned out to become national. 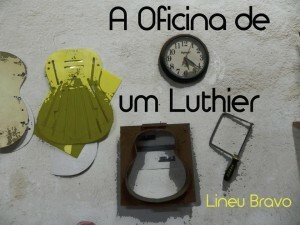 Do you know how a luthier works? The construction of instruments is an art that demands time, talent and dedication. 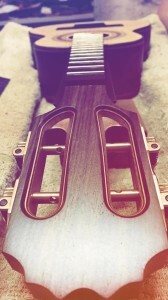 A single handmade instrument takes months to be built and, during this process, the art is born. In the workshop, the luthier uses many tools to fit each component in its place, each string, each part of the guitar, cavaco or, maybe, mandolin. There are molds, in different sizes and forms, for each instrument, that, after a long time of work, become artisanal music instruments: cavaquinho, mandolin, nylon guitar, tenor guitar, 7-string-steel guitar. Some pieces are so delicate that, in order to be fit and shaped with precision, it is necessary to use a magnifying glass. The nut (little piece of bone made out of the shin of the ox) that holds the strings of the instrument, is one of them. Another frequently used tool in the workshop is the clamp. There are a lot of sizes of clamps and they are helpful to fix the parts of the music instruments. The handmade construction of instruments, as we see, is an art, and the artist, the luthier, molds, creates, invents and reinvents.